The economy added 163,000 jobs in July, up from the a revised 64,000 jobs added in June, the Bureau of Labor Statistics reported on Friday. 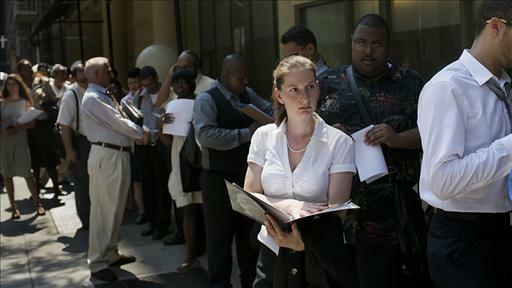 The unemployment rate ticked up to 8.3 percent. Analysts had expected the unemployment rate to remain mostly flat at 8.2 percent and for non-farm payrolls to increase by 100,000 positions. The monthly number has become one of the most watched figures this campaign season, as President Obama and Mitt Romney have battled over who is better equipped to lead the nation’s economic recovery. European indices rose slightly on Friday morning in anticipation of the numbers, as did the Standard & Poor’s 500. This entry was posted on August 3rd 2012 at 3:34pm/15:34 and is filed under Live News Column 1. You can follow any responses to this entry through the RSS 2.0 feed.